Frittata, in Italian, translates roughly to “fried.” It’s an egg dish made in a pan, and on first glance I couldn’t blame you for mistaking this frittata for an omelette. However, there are a couple of key differences that make the frittata distinct from its more common cousin. First, the heat used is typically much lower. This results in a longer cooking time and a subtle but marvelous difference in texture. And second, the frittata is not folded; instead, it’s flipped in the pan and then served open-faced. This summery frittata is packed with wonderful flavors. 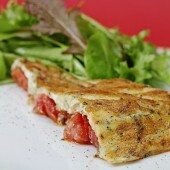 Thyme, oregano and parsley impart their exquisite aromatics, while the tomatoes keep the frittata deliciously moist. 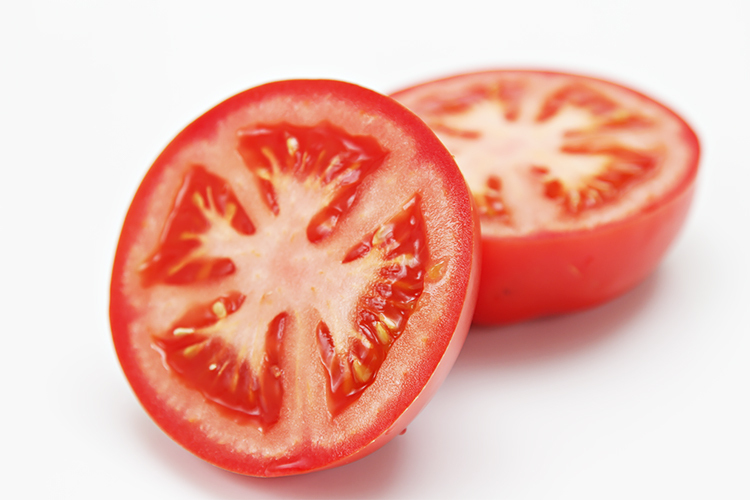 A perfect dish to make when tomatoes are at their peak! Serve a dry rosé with this frittata – it’ll be superb! Although just about any rosé would work well with this dish, I especially love to pour a rosé from Italy made with either Lagrein or Sangiovese grapes. Step 1: In a small mixing bowl, whisk together the eggs, Parmesan, thyme, oregano, salt and pepper. Set aside. Step 2: To sauté the tomatoes – Heat a large heavy-bottomed skillet over high heat. Add the oil, garlic and parsley and sauté for 30 seconds to 1 minute until parsley starts to wilt. Add the tomatoes and sauté for an additional 2 to 3 minutes, until they soften but do not fall apart. Add the salt and pepper, mix well and transfer to a bowl to cool. Step 3: Heat a large non-stick frying pan over medium-high heat. Add the olive oil and spread it evenly over the surface of the pan. Pour in the egg mixture. As the eggs begin to set around the edge of the pan, use a spatula to push the edges to the center and tilt the pan so that the raw egg fills in any bare sections. When the eggs begin to set, spoon the tomatoes on top, reduce heat to medium and continue sautéing until the frittata is almost set and the bottom is golden brown. Invert the frittata onto a large plate and slide it back into the pan top-side-down. Continue cooking until the bottom is just set, only about 30 seconds. Transfer to a large platter and serve warm with this everyday leafy green salad and these scrumptious roasted baby red potatoes with lemon and bay leaves. Mmm! I love a good fritatta and one that showcases one of my favorite summer veggies is even better! It looks wonderful! Great video Viviane! I learned so much. I loved seeing your herb garden, now I want one. Loved the music by Marc Farre! 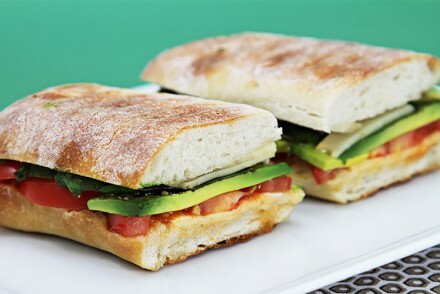 Viviane, keep your delicious recipes coming! Thank you so much Donna! I’m so glad you enjoyed the video – I took this one a couple of years ago so the herb garden is now in a new place, but it’s still thriving… Dont you worry, I’ll keep the recipes coming! I just had to try your lovely fresh-tomato frittata today using my lovely garden plum tomatoes and fresh zucchini ( I didn’t have enough tomatoes) and adapted it with the herbs. Unfortunately, thyme is not one of my favourites, but I did use fresh parsley and oregano (dried), and the frittata turned out so beautiful and delicious. You are my inspiration. I love cooking and baking too, marrying into a hungarian family. Next year, I shall also grow more herbs in my new flower-bed in the front of the house along with other favourites. P.S. Where can I get heirloom tomato seeds? Source? Dear Joan, Thank you so, so much for your wonderful comment and for letting my know about the frittata. I am thrilled that you enjoyed it. I’m also very happy to hear that you will be growing fresh herbs next year – they’ll be a fabulous addiction to your repertoire. For heirloom tomato seeds, go to http://www.johnnyseeds.com/ they have a very large selection and they’re very reliable. Thank you again and happy cooking! 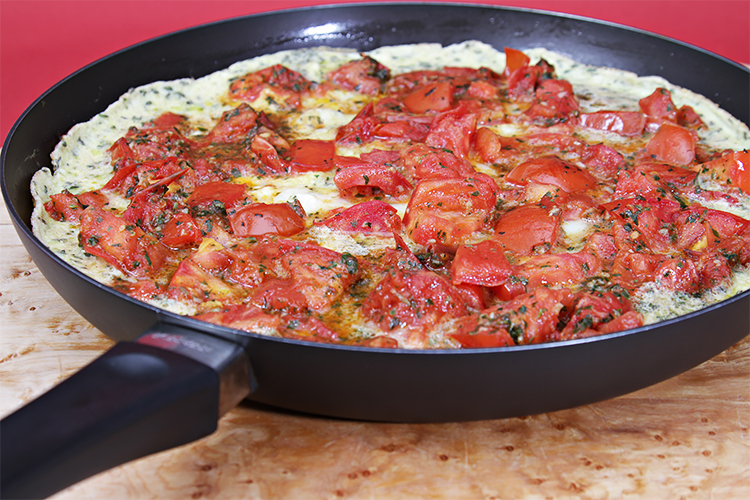 A really gorgeous tomato frittata! The colour and the freshness make me drool. Tomatoes & organic herbs…so fresh! The frittata looks fantastic. I have to keep in mind the trick of pushing to the center the cooked edge like you did. The photo makes my mouth water. 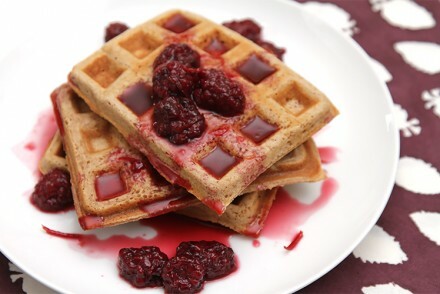 Great recipe, picture, and video! 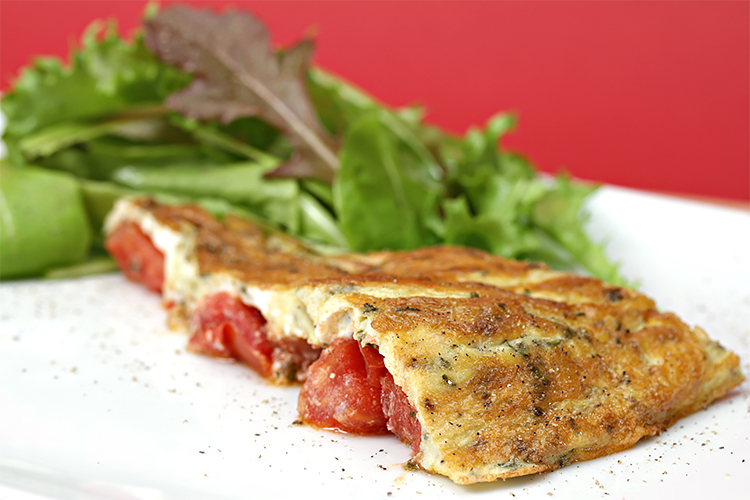 This fritatta sounds just perfect with the fresh herbs and tomatoes! It’s so refreshing to watch such a professional looking video on a blog. That frittata is so pretty with the bright tomatoes and fresh herbs. Fantastic shot as always and looks appetizing! Love the tomatoes in Fritata..and with all the herbs it must have been very delicious! What a great video, you look fabulous! 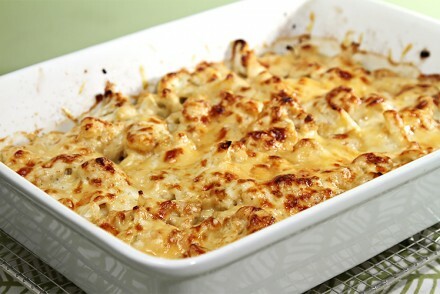 Your recipe is so flavorful with all those organic herbs, and I must say delicious looking too! Thank you for sharing and have a wonderful day! Sandra! Now I am blushing… Thank you! Hi Viviane, Long time. Love the first phot. So gorgeous. I could have this frittata for breakfast now. So delicious! Shulie! So lovely to see you here… Thank you so much for your comment and kind words.